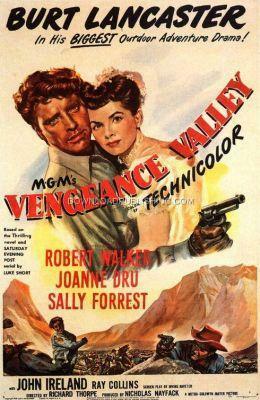 Burt Lancaster In His BIGGEST Outdoor Adventure Drama! A Cattle Rancher, Arch Strobie (Ray Collins) takes in an orphan boy named Owen (Burt Lancaster) and raises him as his own. Owen becomes the big brother to Arch's younger son Lee (Robert Walker) and is always getting him out of trouble. Now they are grown up, Owen is still trying to keep Lee out of trouble. It seems that Lee is resentful of Owen and thinks that Owen is trying to gain control of the Ranch that he wants for himself.